Meet the Dogs Love U Class of 2017! 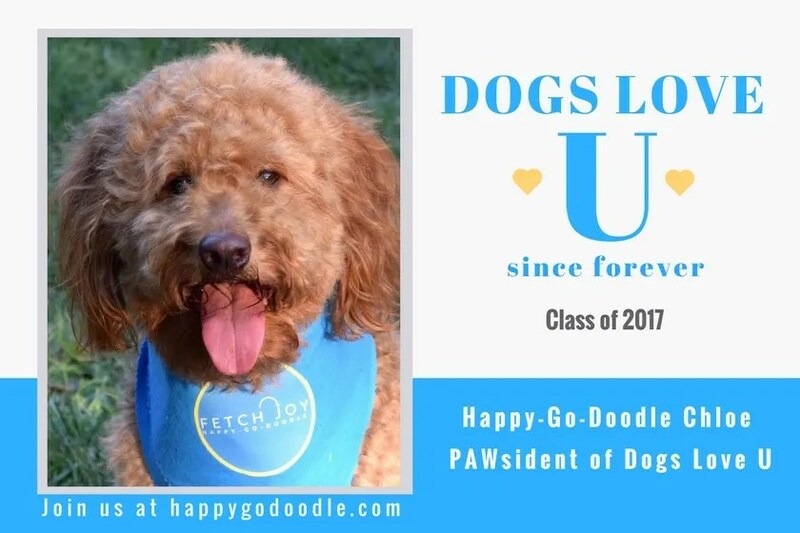 Happy-Go-Doodle Chloe is proud to announce the Dogs Love U inaugural class of 2017! What a group of fun-loving, smile-bringing, rebarkable pups! We’re happy to welcome each of these dogs to the “campaws” at Dogs Love U! If you’re joining us for the first time, Dogs Love U is a “not-so-bonefide” university where dogs have been loving you since furever. It’s part of a series of canine college-themed stories that we kicked off this fall for back-to-school. 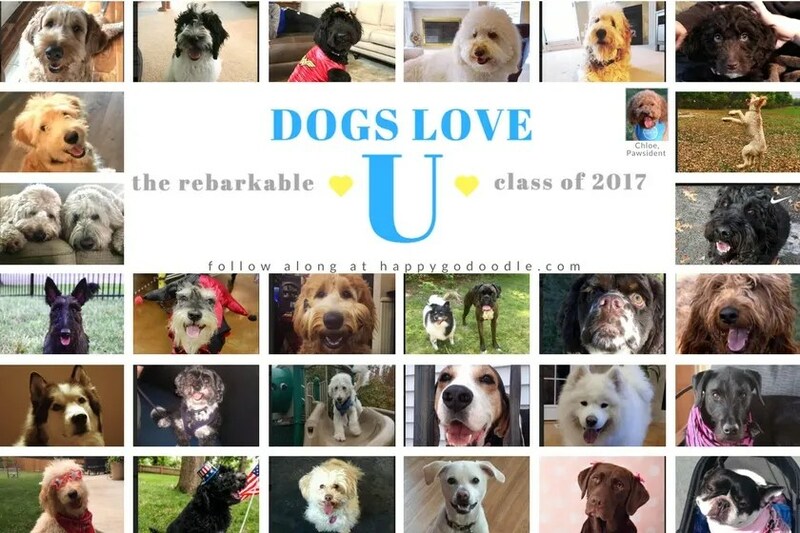 Catch up on all the fun here: A Photo Contest at Dogs Love U , Dogs Love U: A Bone-fide University of Happiness, Dog Appreciation 101: Our Rebarkable Dogs, Dogs Love U: Show Your Dog-Lovin’ Team Pride, and Intro to Lick-erature: Funny Dog Parodies. 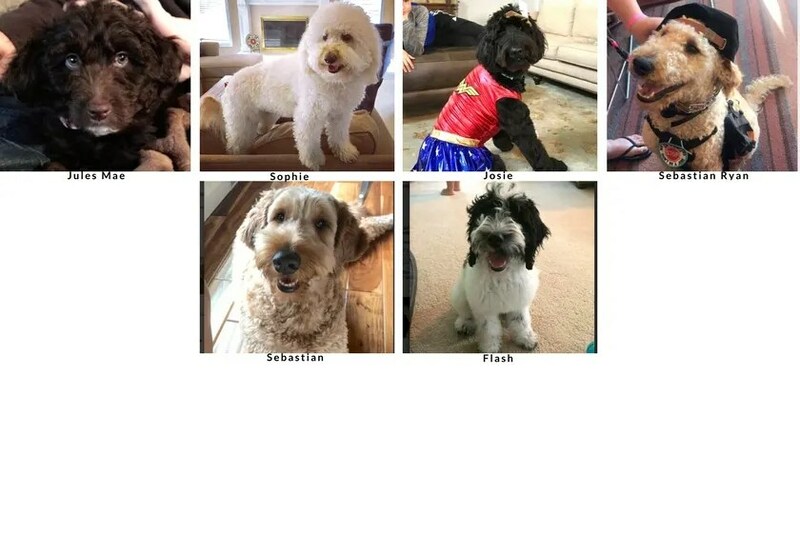 How were these dogs chosen? 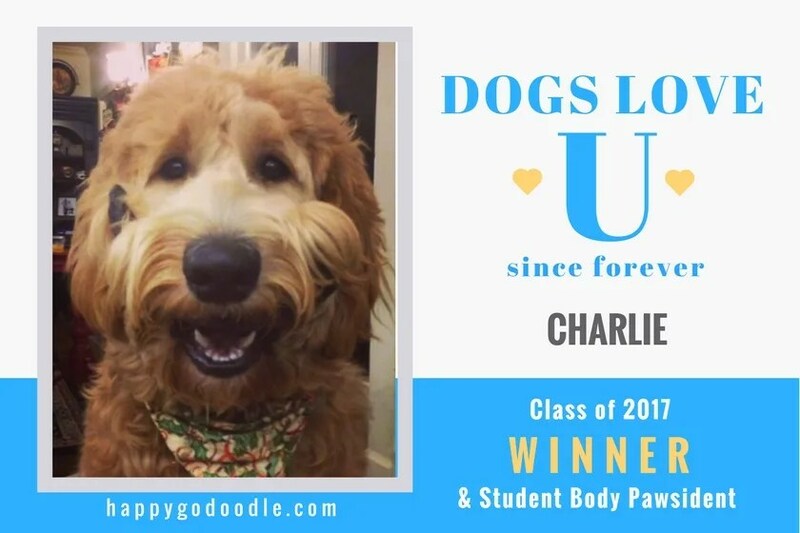 Kiddoodle Chloe and I think that all our furry pals were born with a degree in love and kindness…and complete adoration for you! Who are the tail-wagging students of the Class of 2017? 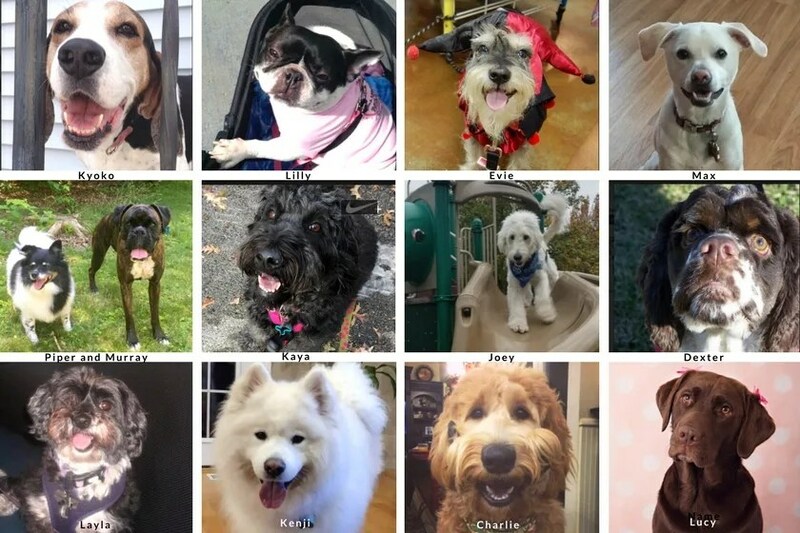 Chloe, Pawsident of Dogs Love U, is honored to welcome…Kyoko, Lilly, Evie, Max, Piper & Murray, Kaya, Joey, Dexter, Layla, Kenji, Charlie, Lucy, Riley, Star, Ruby, Charlie, Phoebe, Drake, Bentley, Obie, Waffles, Lucy & Murphy, Talou, Jules Mae, Sophie, Josie, Sebastian Ryan, Flash, and Sebastian! And now that you know their names, take a look at their sweet faces. Aren’t they rebarkable? 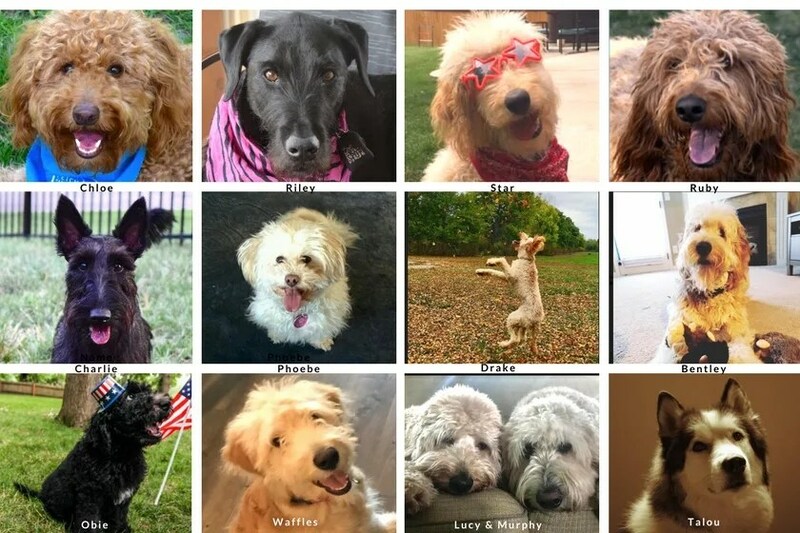 Congratulations to the winner and to all the amazing dogs who participated in the photo contest! 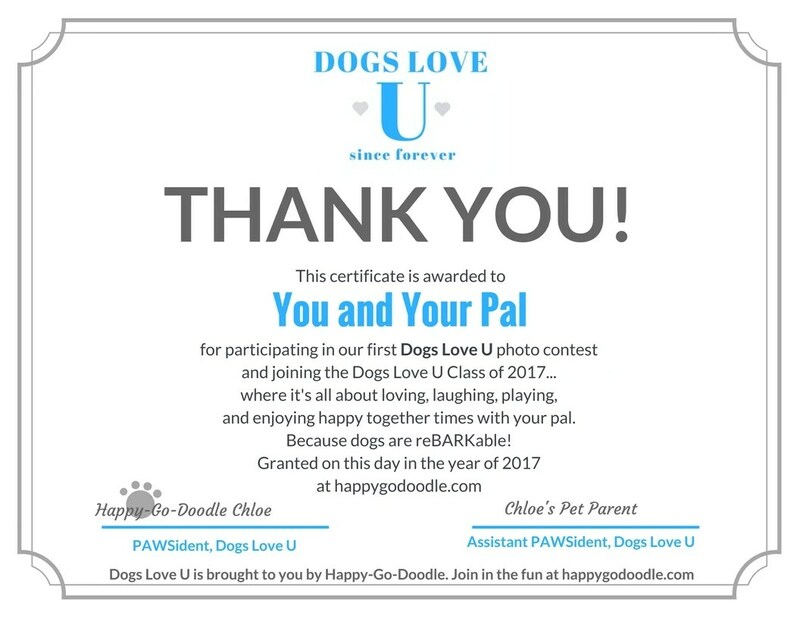 Finally, as a memory of our dog-loving adventures, please click on the images below to download the free certificate of ap”paw”ciation and the Dogs Love U photo collage. It’s our way of saying “thank you” for stopping by…and for enjoying happy times with your furry pal. Thank you for emBARKing on our Dogs Love U adventures…and thank you for loving your dogs as much as they love you! We’d love to hear! Please let us know by commenting below! Doodle Kisses and tail wags from Chloe! ← A Photo Contest at Dogs Love U! The race is on to take an adorably cute winter picture of Charlie! (It might be easier to put an egg back in its shell!) But, we’ll try! I’m sure that EVERY picture of Charlie is adorable! Can’t wait to see it! Thanks for joining us for this photo contest! It will be DOGGOlympic fun!